Home»All»Houston Marathon – January 19, 2014 – Route Information and Good Places to Watch! 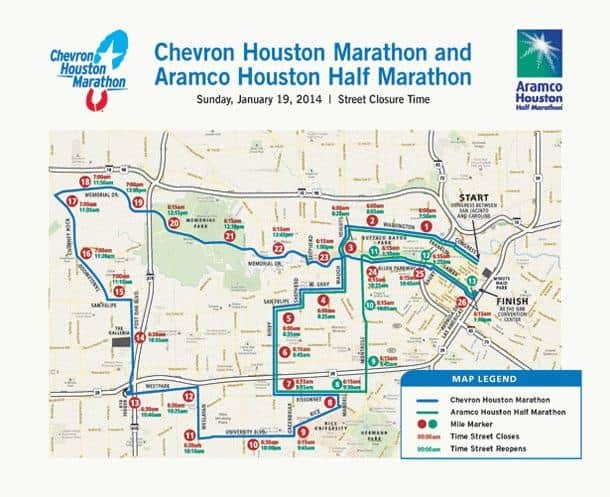 Houston Marathon – January 19, 2014 – Route Information and Good Places to Watch! The Houston Marathon is on January 19, 2014. The race starts at 7:00am at the George R. Brown. There is sure to be extra traffic by Discovery Green and many roads will be closed. There are events all weekend, but the Marathon and Half-Marathon are on Sunday morning. The route can be found here and here are 10 good places to watch!